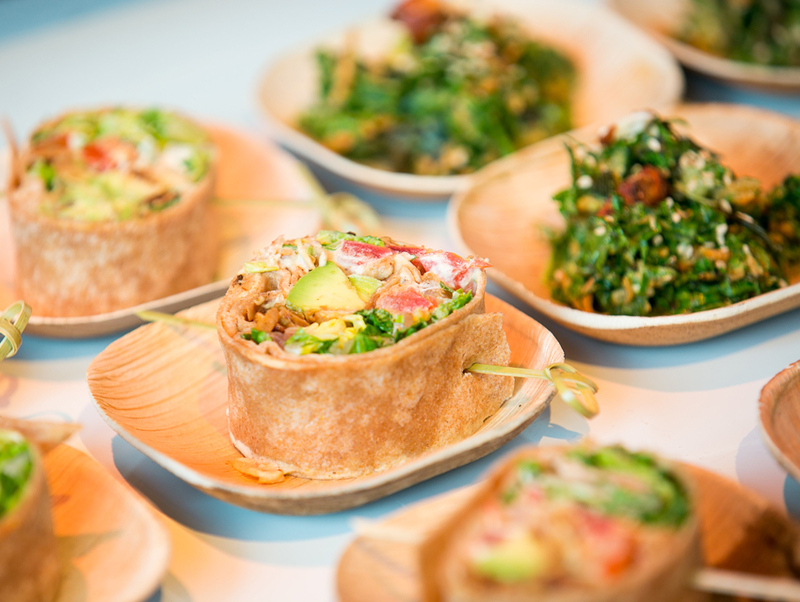 Hollywood Bowl season is almost here, and there’s something new on the food front. Patina, who’ve been feeding the crowds for the past decade and a half, have partnered with Gracias Madre and Cafe Gratitude this year, which means there will be plenty of organic, plant-based options to go along with that bottle(s) of wine you brought with you. Signaling that vegan and vegetarian options are in high demand among Angelenos—or at least among the demographic that frequents the Bowl, anyway—menu items, like the Raw Pesto Kelp Noodles, Macrobiotic Bowl, and Vegan BLT, will be available at the venue’s Market Cafés, Rooftop Grill, The Wine Bar, and Staccato. For dessert, there’s an almond-milk tiramisu topped with cashew-based whipped cream. A picnic basket curated by Gracias Madre is also available. Despite the change, meat lovers have nothing to worry about. Patina’s Joachim Splichal is still serving up carnivore-approved pork belly sliders and 18-ounce rib-eye steaks–or if you really want to go for it, there’s always the foie gras terrine with stone fruit marmalade, Luxardo cherries, and toasted baguette. The “Neighborhood Grill” menu is also a meaty affair, offering everything from Filipino BBQ chicken skewers to baby back ribs. And if that wine isn’t enough, Rays’ & Starks Bar is offering their signature water menu curated by water sommelier (the only one in America, in fact) Martin Riese. Hollywood Bowl, 2301 Highland Ave. Some food can be pre-ordered on Patina’s Hollywood Bowl site.